Today in the series First World War Centenary: Honouring Canada’s Victoria Cross recipients, we remember Lieutenant Robert Grierson Combe of the 27th Battalion, Canadian Expeditionary Force (CEF). In this series, we profile each of Canada’s Victoria Cross recipients 100 years to the day in action for which they were awarded this prestigious military medal. Born August 5, 1880 in Aberdeen, Scotland, Combe enlisted in the CEF as a Lieutenant, a rank he resumed at his own request, despite having qualified as a Major. ….He repeatedly charged the enemy, driving them before him, and, whilst personally leading his bombers, was killed by an enemy sniper. His conduct inspired all ranks, and it was entirely due to his magnificent courage that the position was carried, secured and held. 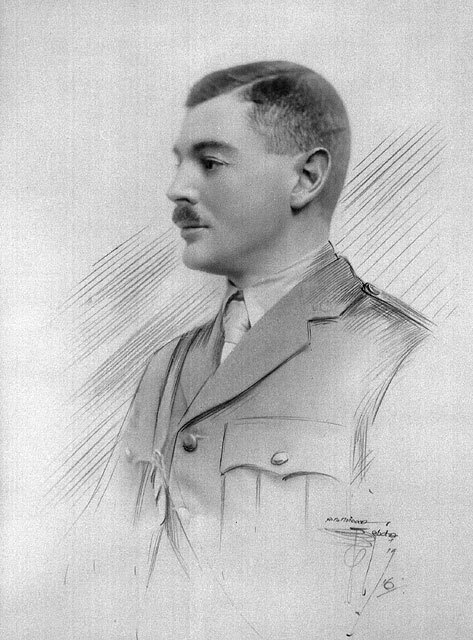 Lieutenant Robert Grierson Combe was awarded the Victoria Cross posthumously for his leadership and courage under fire. He was buried near Acheville, France. Ongoing fighting in the area resulted in the destruction of the military cemetery and the loss of his gravesite. For this reason, his name appears on the Vimy Memorial, along with the names of 11,000 other Canadian soldiers who have no known graves. Library and Archives Canada holds the service file of Lieutenant Robert Grierson Combe.